Our client, a large Not For Profit organization, leased the top five floors of an existing office building. 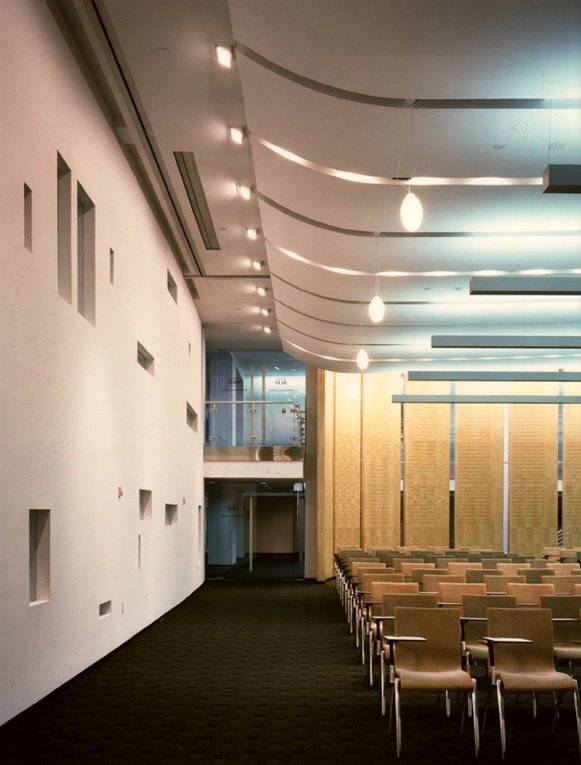 Beyond the space required for their corporate offices they wanted a conference center that could accommodate 400 people. The central core of the original building was an parking garage which rose from the basement to the roof. Our office was challenged to remove the top six levels of the garage, reconstruct the space and insert the conference center. The specifics of the program included a single space that could accommodate 400 seats, break-out rooms, a catering kitchen, full state-of-the-art audio visual capabilities including translation booths.